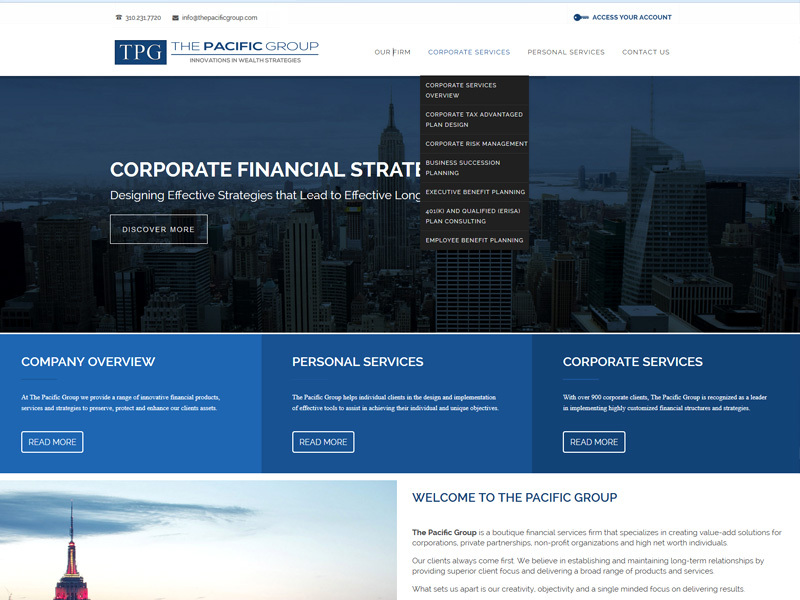 The Pacific Group provides a range of innovative financial products, services and strategies to assist corporations, businesses, and high net worth individuals to preserve, protect and enhance their assets. With over 1600 corporate clients worldwide, and multiple offices nationally, they approached Rizer with an intent to display their reputable services online. After discussions, TPG partnered with Rizer to completely revamp their branding and digital efforts online, including redesign of their logo, corporate identity, and website. The objective became to illustrate the many high value financial services they offer online, and to inform their user base of how they can manage and grow their assets.